The organizers of le Marathon des mots know it has never been a more important time for the public to hear what authors from Syria and Lebanon have to say. 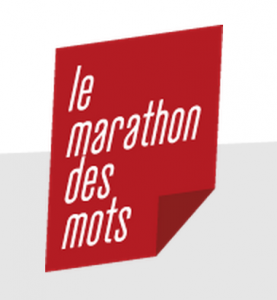 Just over ten years old, the literary festival le Marathon des mots, (the Marathon of words) is held on the last weekend of each June in the southwestern city of Toulouse and its surroundings. Writers from Buenos Aires were the guests of honor in 2013 while last year Istanbul-Taksim was celebrated, in support of the anti-government protests held in Taksim square. This year Syria and Lebanon are the timely guests of honor with an impressive line-up of writers and poets from both countries. The aim of the festival is to invite the public, using texts, to reflect upon the state of the world. Given the tragic situation in Syria, its intimate political and cultural relationship with its neighbor, Lebanon, and the fact that over time many Syrian writers, banned in their own country, have been published in Lebanon, it has never been more important for the public to hear what these authors have to say. Lebanese poets Vénus Khoury-Ghata and Salah Stétié will open the festival, followed by readings and events with fifteen or so Lebanese and Syrian writers. A look at Friday’s schedule shows actress Marie-Christine Barrault reading from Lebanese author and this year’s Man Booker International finalist Hoda Barakat’s novel, Le Royaume de cette terre (the Realm of this Earth), actor and theatre and opera director Daniel Mesguich will read from Lebanese author Rabee Jaber’s The Druze of Belgrade, and from Lebanese author Jabbour Douaihy’s St Georges regardait ailleurs (St. George was looking elsewhere). A special treat will be a meeting with Syrian author Rosa Yassin Hassan, who has been living in exile in Germany for the past three years. Her third novel, Les Gardiens de l’air (The Guardians of Air) was published last year by Actes Sud’s rich Arabic literature imprint, Sindbad under the direction of Farouk Mardam-Bey, who will be at the festival accompanying a number of his authors. Mardam-Bey also published the powerful prison novel, La Coquille (The Shell) by Syrian writer Moustafa Khalifé as well as Akram Krabet’s Treize ans dans les prisons Syriennes (Thirteen years in Syrian prisons). Lebanese author and French academician Amin Maalouf will meet with the public; there will be a screening of the devastating and compelling 2014 documentary, Eau Argenté (Silvered Water), about Syria’s tragic descent into civil war, by filmmaker Oussama Mohamed, in collaboration with Wiam Simav Bedirxan, followed by an event with Syrian journalist and author Hala Kodmani, who will be discussing the situation in Syria as well as in two other events along with Lebanese author Najwa M. Barakat, Syrian writer Mariam Antaki and Farouk Mardam-Bey.